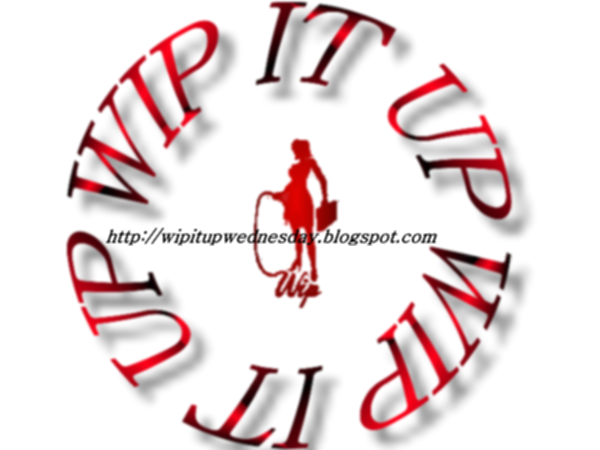 My #WIPITUP post this week is a snippet from the story I am working on right now. It's an historical Western, which probably sounds bizarre coming from a Kiwi writer, but I've been reading, and loving, Westerns forever, both books and movies. Louis L'Amour remains one of my favourite writers to this day; Larry McMurtry is another writer I really love. One of the books I read a few years ago, about an Englishman and his two daughters who hire some young cowboys to take their cattle to market over the plains, even has a couple of spankings (or threats of spankings anyway) in it, and I'd love to re-read it, but for the life of me I can't remember the title of the book :( If you know it, please help me out! Anyway, I'm planning to write a series. I've got the first 3 books planned out, and while I'm more of a pantser than a plotter, so far this first book is going pretty close to my original plot outline. The old TV show Rawhide was the original inspiration for my series, and I'm madly in love with this man, trail boss Mr Favor. I have no idea who owns the credits for this photo - I stole it off Pinterest. So now for the excerpt: Johnny and Rachel were part of a wagon train that got massacred by Indians, and they are the only survivors. For two days now, they've been travelling together, riding double on Johnny's horse, out of food and water, with no idea of where they're going. “Look!” Johnny’s exclamation startled her so much that she nearly fell off the horse in surprise. She must have dozed off, as none of the terrain they were now travelling looked familiar. But she looked curiously in the direction Johnny was pointing. Dust, lots of dust; and it wasn’t more than a mile in front of them. “What’s making that, do you think?” she asked, rubbing her eyes. Now that Jessica was awake, her stomach rumbled loudly, and she realised just how hungry she was, and thirsty. She’d never had so much beef jerky in her life, and while she was grateful for the nourishment it provided, she was desperate for a decent meal to fill her belly. Johnny must have heard her stomach protest, because he fished around in one of his saddle bags and pulled out a piece of jerky. Johnny flexed his hands as he crossed his ankle over the saddle horn and twisted around to face her properly. “You really do want a spanking, don’t you? I told you I would take care of you, and I intend to do so. It’s just the way I am. Besides, it’s been a long time since I’ve had a pretty lady by my side. A mighty long time.” Johnny turned back round the right way, put his foot back in the stirrup and pushed his horse into a faster pace. Now that they had a destination in sight, he wanted to get there as fast as they could. And that's my teaser for this week. I hope you like it! Check back again next week for more snippets of my new WIP! Thanks for visiting! Please hop to the other blogs and check out all the other fantastic authors participating this week! Nice conflict going on - going to lead to some interesting moments.